Computes pixel-wise the Modulus of a complex image. SphinxExamples/src/Filtering/FFT/ComputeForwardFFT/Code.cxx, SphinxExamples/src/Filtering/FFT/ComputeImageSpectralDensity/Code.cxx, WikiExamples/SpectralAnalysis/ForwardFFTImageFilter.cxx, and WikiExamples/SpectralAnalysis/VnlFFTRealToComplexConjugateImageFilter.cxx. Definition at line 59 of file itkComplexToModulusImageFilter.h. Definition at line 70 of file itkComplexToModulusImageFilter.h. Definition at line 72 of file itkComplexToModulusImageFilter.h. Definition at line 81 of file itkComplexToModulusImageFilter.h. Definition at line 83 of file itkComplexToModulusImageFilter.h. Definition at line 82 of file itkComplexToModulusImageFilter.h. Definition at line 69 of file itkComplexToModulusImageFilter.h. Definition at line 67 of file itkComplexToModulusImageFilter.h. Definition at line 68 of file itkComplexToModulusImageFilter.h. Definition at line 93 of file itkComplexToModulusImageFilter.h. 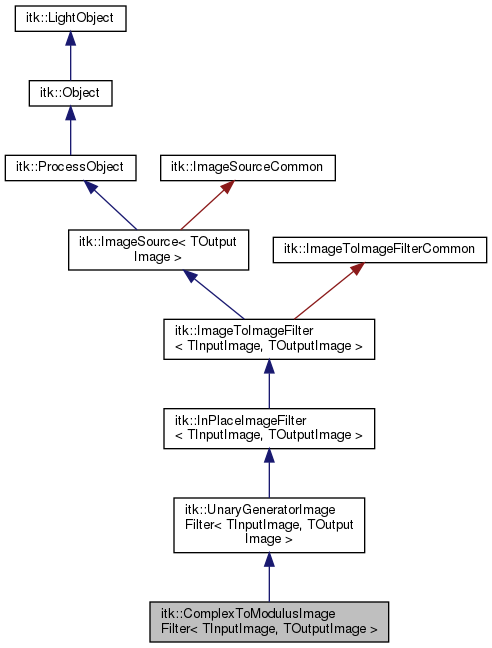 References itk::UnaryGeneratorImageFilter< TInputImage, TOutputImage >::SetFunctor(). Reimplemented from itk::UnaryGeneratorImageFilter< TInputImage, TOutputImage >.